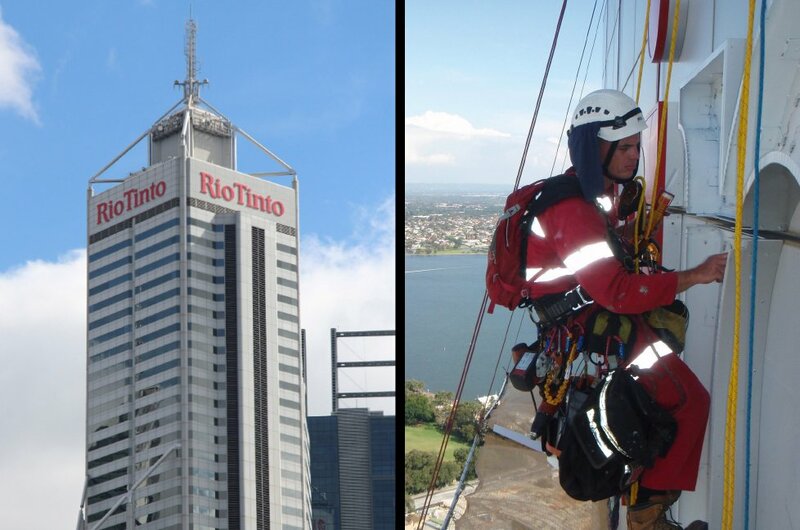 The Rio Tinto Perth project took 12 months to complete & was awarded after a rigorous tender process. Our works included design development, engineering, statutory planning approvals, project management, final production documentation, manufacture, installation & commissioning. 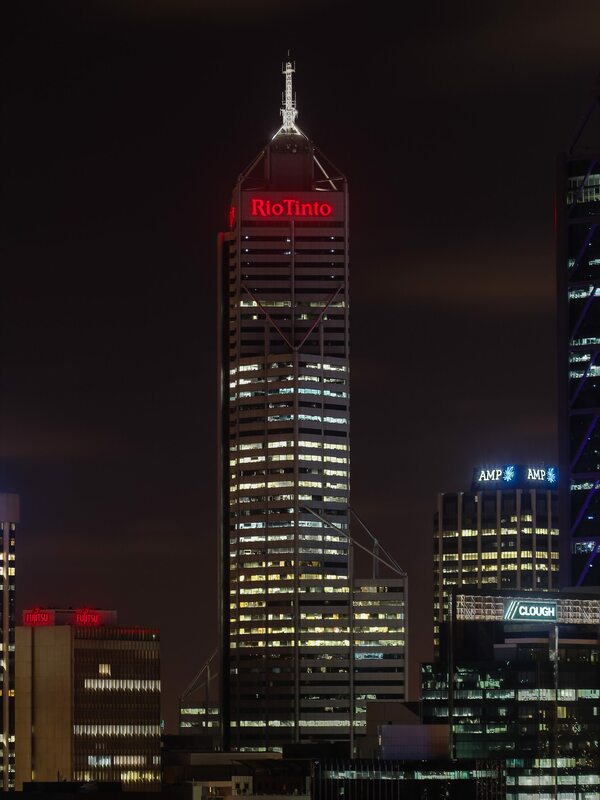 There are 4 roof top sky signs each measuring 23m x 4.3m & are illuminated at night by energy saving high output LED’s.